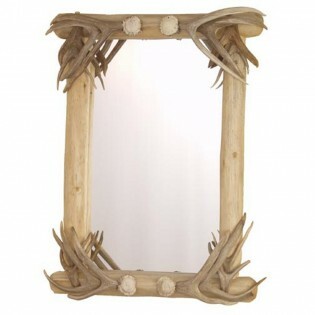 A traditional lodgepole pine mirror is accented on each corner with hand placed deer antlers. A traditional lodgepole pine mirror is accented on each corner with hand placed deer antlers. A great addition to the bedroom, bath or foyer.